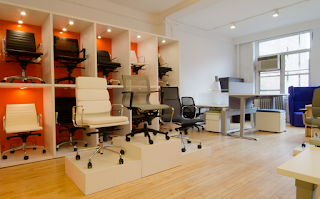 So you're ready to purchase your first office chair? Great! You're in the right place. A comfortable office chair is the foundation for a productive work day. Without a comfortable chair you can be left straining and fighting back pain for hours on end. That's why it's essential to choose a chair that's right for you. Today on the blog we'll help you do just that by highlighting the tips, advice, and product suggestions you'll need to make a smart investment. 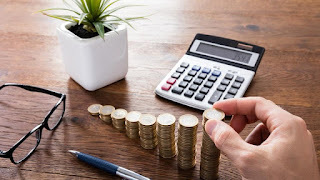 First things first, you need to set a reasonable budget. Sure there's chairs out there that cost thousands of dollars and have a ton of bells and whistles. They're cool, but definitely not what you need in a first chair. We recommend setting a budget of $300.00. At this price point you'll have plenty of great options that will introduce you to the world of ergonomics without the headaches associated with fancy adjustment features. Pro Tip: You don't have to spend a fortune to get comfortable! When selecting your first office chair, be sure to keep it simple. We know you want to pick a chair that looks cool. There's nothing wrong with that. Comfort however, does come first. 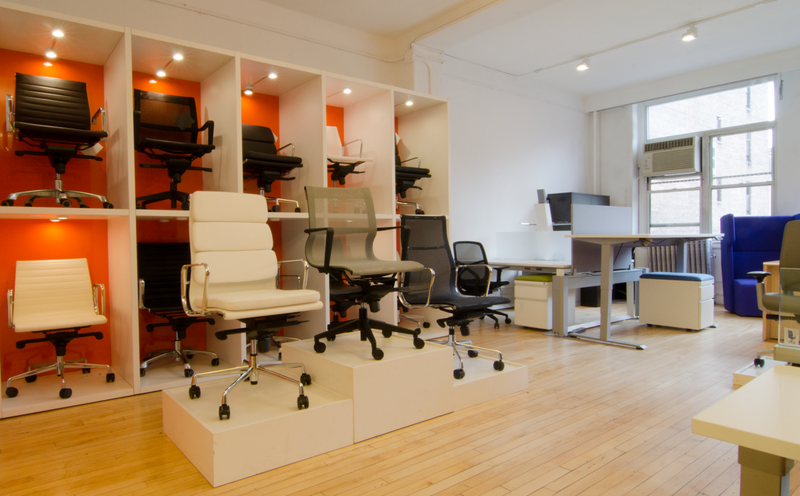 Take the time to visit an office chair showroom in your city. 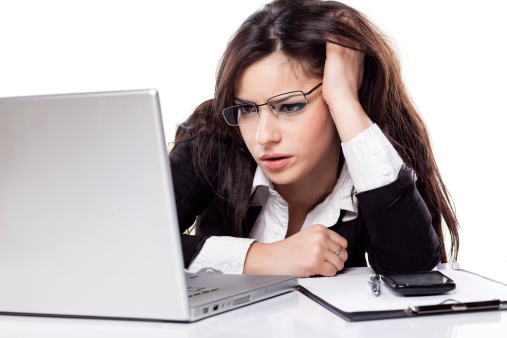 You'll be rewarded with helpful information from professional that really know their stuff. Pro Tip: Don't be fooled by fancy design elements. In the long run, it's all about the sit! An entry level task chair may sound basic, but it doesn't have to be. 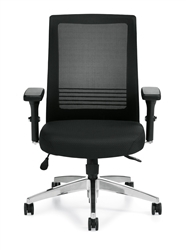 In many cases, entry level chairs are preferred as they're easy to use. Office chair technology has come a long way in the last 5 years. Many of the standard features you'll find on entry level chairs are also featured on those that cost 5 times the price. By now you're probably wanting a few reliable chair suggestions. Don't worry, we've got you covered. We'll go ahead and tell you about 3 of the best office chairs available for under $300.00 in 2018. First up is the Eon by Cherryman Industries. This high back mesh chair boasts adjustable arms and an advanced synchro tilt mechanism with a seat slider that allows the chair seat to be positioned directly behind the knees. 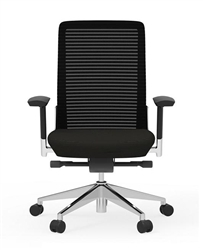 The Eon chair is also very stylish and modern. At $294.00 it comes in at the top of our price point, but it's worth it! You can't go wrong with any chair crafted by Offices To Go. This year they've raised the stakes with the model 11325B. This ergonomic executive chair with lumbar support is an absolute bargain buy at just $235.99 and boasts many adjustment features not found on chairs priced twice as much. Going for something a bit more fancy for your upscale interior? 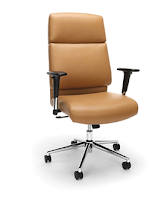 Check out the new 568 leather office chair from OFM. This designer chair is available in 3 quick shipping color options for just $200.00. Nope that's not a typo. This chair is value price and packed with great features. The adjustable arms, segmented cushions, and polished accents work together to ensure the perfect combination of support and style. Choosing your first office chair should be fun. Do your homework and read reviews to ensure you're purchasing a reliable product. You can even do a quick search for demo videos on YouTube. They really come in handy! In the long run, the chair is an extension of yourself. Do your best to select a chair that showcases your personality and blends with your furniture without sacrificing the adjustment features needed to keep you computing healthy. If this sounds like a lot to ask for, we're here to tell you it's not. You can truly have everything you need in your first chair without breaking the bank. If you'd like help. don't hesitate to ask the pros!